To start a pharmacy business in Nigeria, there are important things that you must know if you will succeed in this business. The first thing to do is to have a good pharmacy business plan. To succeed in any area of business you must conduct a good feasibility study report so as to know what is feasible and what is not, what and what not to do. 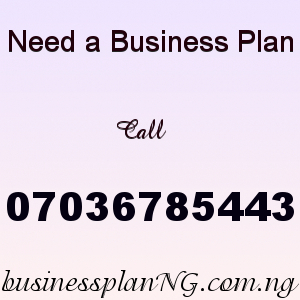 There are lots of business that folds up few years after a good start up so to be different you must have a good business plan and must have conducted a good feasibility study. Another thing to do is to make research to know everything that happening in the drug market. The regulatory bodies what you are allowed to do and and how the market should be run in the country. This is like knowing all the rules put together by the NAFDAC so you can be a qualified pharmacy or chemist operator. In Nigeria, you can not own a pharmacy shop in Nigeria without having a degree in pharmacy. The least should be a B.Sc in any of the accredited Nigeria universities. If you want to go into this line of business and you didn’t study pharmacy you would need a Superintendent Pharmacist to register the pharmacy shop with the Pharmaceutical Council of Nigeria PCN, before you can run the business smoothly. If this is the a business you really want to do you will have to register with the Corporate Affairs Commission, CAC. This is one way to get your business legally recognized. The Corporate Affairs Commission is in every state in the country all you need to do is to walk into their office and register your business. That said, one of the ways you can thrive in this pharmacy business is finding a good location for the business. This is one of the major thing business owners take into consideration because it affects the business in all way round. One of the most recommended place is being close to a hospital. However this is not the only place a pharmacy business can thrive. Having a good location for your business makes it easy for customers to locate you. In employing staff, ensure they are well knowledgeable. If you are not a qualified pharmacist you will need to employ a superintendent pharmacist. Pharmacy business is not for everybody, only qualified persons are allowed either as an owner or as an employee. In running pharmacy business is best that you sell drugs only from qualified drugs manufacturers. NAFDAC approved drugs only should be sold to avoid your business from being closed down by the authorities. Pharmacy business is a very profitable one in the country because there are lost of people that have unhealthy lifestyle and poor eating habits. This makes it easy for them to fall ill. The environment people live as well also affects their health. Licensing, registration and legal requirement for starting may also be challenging. Constantly dispose of expired drugs.